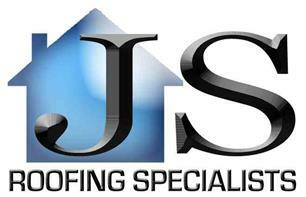 JS Roofing Specialists Ltd - Fascia/Soffits/Guttering, Roofer, Windows/Doors/Conservatories based in Farnborough, Hampshire. JS Roofing Specialists Ltd is a well established business based in Farnborough, Hampshire. We operate throughout the local area, including Hampshire, Surrey, Berkshire and London, with over 20 years experience. We undertake all aspects of roofing, and guarantee our work is completed to the highest possible standard. Our range of clients vary from architects, developers, property maintenance companies, building contractors and private customers. We invite all enquiries and take great pleasure in offering free estimates and advice, covering all aspects of roofing. JS Roofing Specialists Ltd are also fully qualified installers of Tectofin Single Ply Roofing membranes. Tectofin is one of the worlds leading single ply flat roofing systems. Due to its novel formulation based on acrylic synthetic rubber, this roofing membrane is highly elastic and both temperature and weather resistant. It is has many excellent features and comes with a Tectofin backed 20 year guarantee. We take great pride in our work and reputation and finish all of our roofing works to the highest possible standard.